This morning we were up and away at 9am which is early for us on a Saturday! 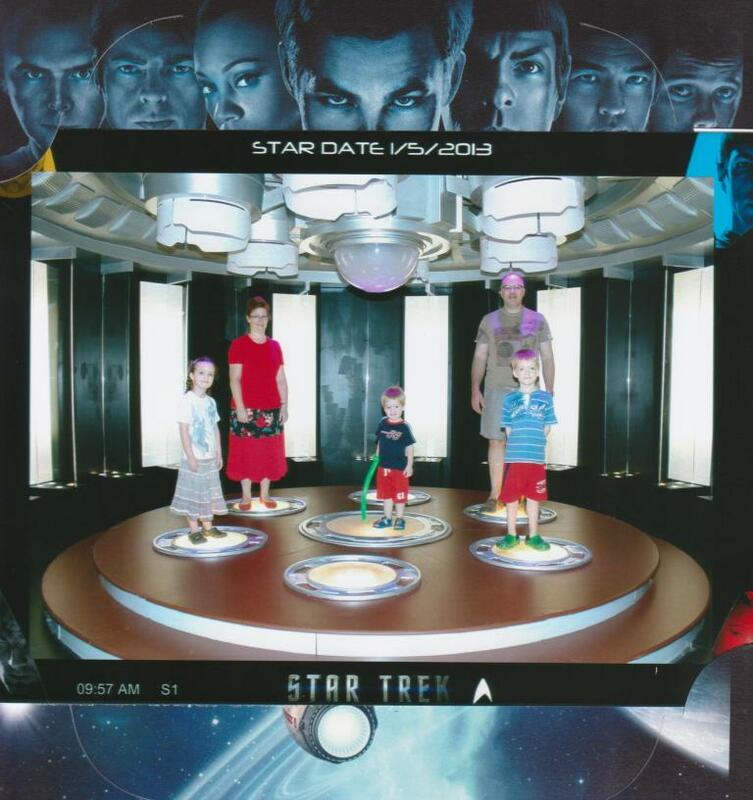 We went and checked out the Science Centre as we hadn't been there for a while and they had a Star Trek exhibition on. A sealed maze that had ping pong balls and you opened little flaps around the sides to move the ball. Kinda like compressed air I think. Maddison making a robot move. Aaron's favourite ... a giant marble run. Couldn't turn my back for a second though, because Samuel was off under the bars right in the middle of it trying to get a ball that had fallen out!! You sat on these seats and pulled yourself up ... each seat had a different pulley ratios. Maddison's was the easiest to pull up! Upstairs there was the Star Trek exhibition. We couldn't take photos inside. After that the kids played in the playgrounds and we checked out other activities. Hi from the Mushroom house. It wasn't too hot outside when we finished so we went down to the outdoor playground. It was pretty dirty and wet though. Samuel got soaked. The swings were connected by wire at the top, so when Lyndon went back, Maddison went forward. So that concludes our holiday adventures! Back to school on Monday for the kids.